MyThemeShop released a special Coupon code for Black Friday Sale where the users will get a flat sale of $19 only on any theme or Plugins. 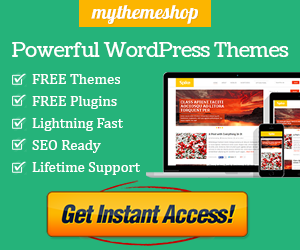 MyThemeShop delivers themes which are ultra-responsive designs and 95 premium themes provided by them will utilize our industry-leading option panel. So how to get this offer?